BIS at CAC Show Bestensee. Judge: Mr. Wolfgang Eickert (G). 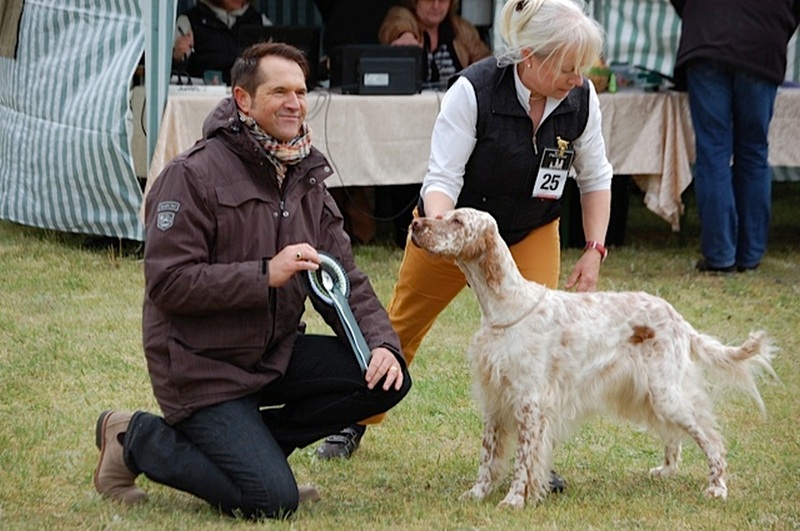 At the Pointer und Setter Specialty Show held on May 4, 2014 at Bestensee Smidt's girl New O'Malley's American Daisybelle went BOB and BIS. We think a very special achievement as she has also passed her hunting test, being for Katrin the first New O'Malley's ' Bred By ' dog. See below her Field Trial Certificate. Chapeau to both.. Ladies! 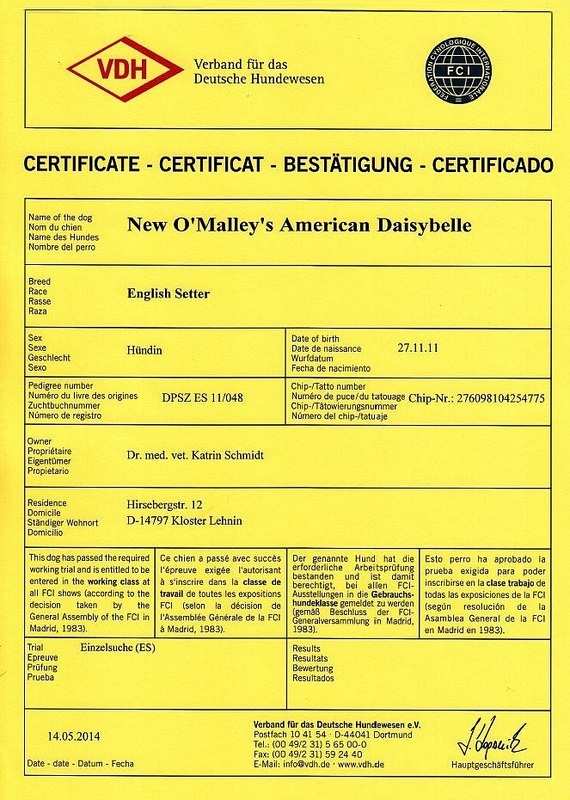 Way to go ...Daisybelle! Our ' Double ' Congratulations goes to Katrin Smidt. Out of Fanchon/Dunley bloodlines, Daisybelle is the 6 Th. dog that has gained a Field Trial Certificate. Dam: German VDH Champion: Milky Way Venatrisett (Primrose). Further information of her parents, see/click on LINK and LINK.